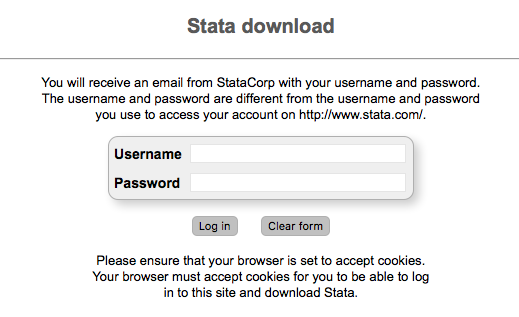 Go to the Stata download site. Input your username and password in the prompt. You received these in your email from StataCorp. On the next screen, choose your operating system. In this example, we have chosen a Windows installation. 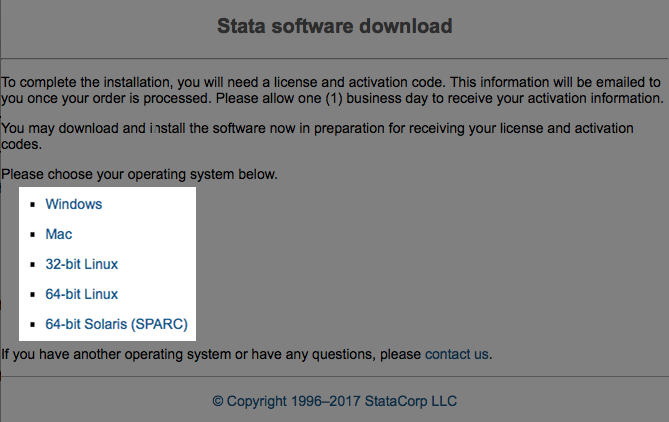 If you already have a version of Stata 15 installed, you must uninstall Stata from the Windows Control Panel and delete the Stata.lic file. Double-click on SetupStata15.exe to begin the installation. When asked whether you want to run the file, click on Yes. Windows' User Account Control will ask whether you want to allow the following program to make changes to this computer. Click on Yes.